In the spring of 2009, Lucasfilm got the following email (without any sort of visual attachment) from a recent visitor to the Star Wars: Where Science Meets the Imagination museum tour. 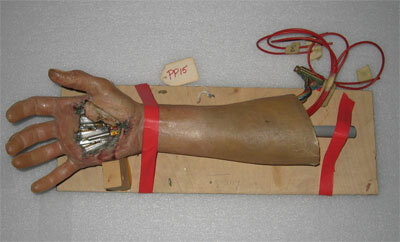 My question is: Was this prop actually used in any of the Star Wars films? I have no memory of seeing it in The Empire Strikes Back (or Return of the Jedi). In Empire, we see Luke’s hand showing damage in the wrist area. In Jedi, we see Luke’s hand with damage to the back of the hand. In none of the movies do we see damage to the palm (if my memory is correct). 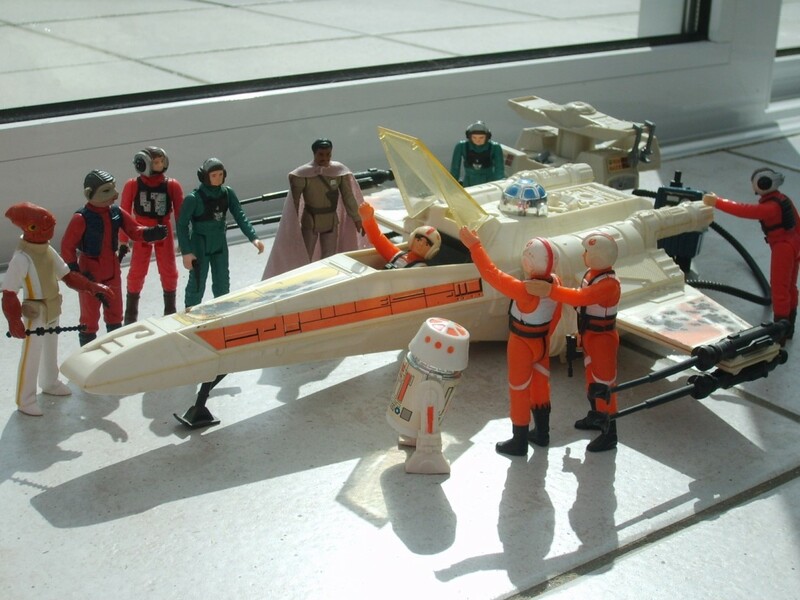 So, was the prop on display ever actually seen onscreen in Empire (or Jedi)? Was the prop perhaps built and never used? Geeky, inquiring minds, need to know! 🙂 Thanks for any help you can provide. 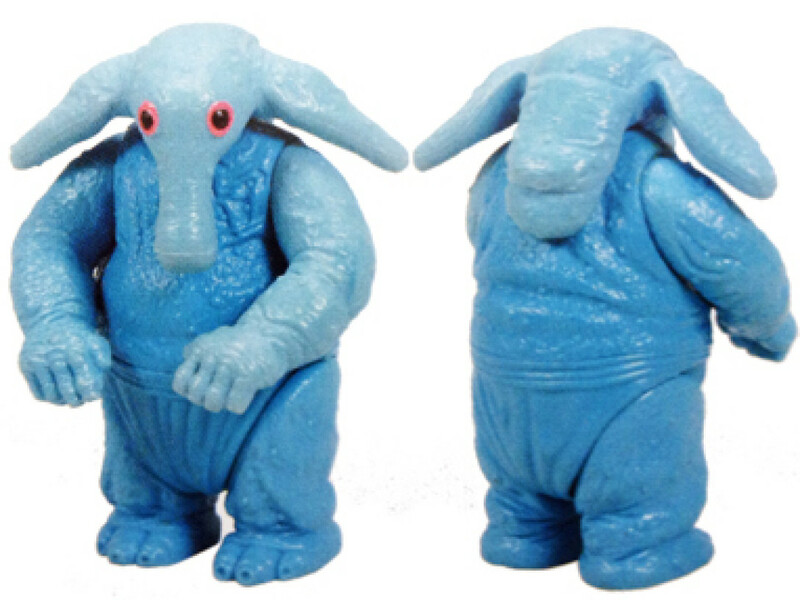 That question ping-ponged through several inboxes across Lucasfilm, looking for an answer. It landed in my lap, which triggered a few memories. Again, this inquiry came in with no visuals attached, but some very distinctive images popped into my mind. 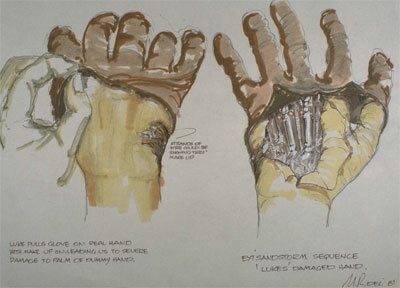 As the letter correctly describes, we never saw Luke’s mechanical hand suffer any damage to the palm. 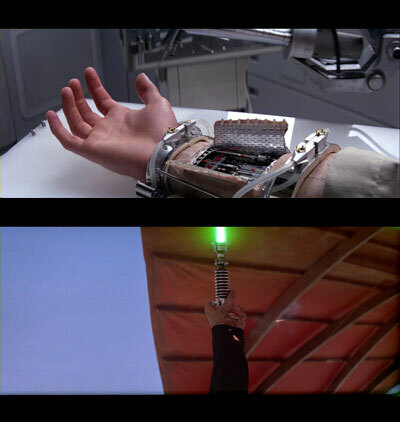 In Empire, it’s the wrist that’s exposed as Luke has the new hand fitted. 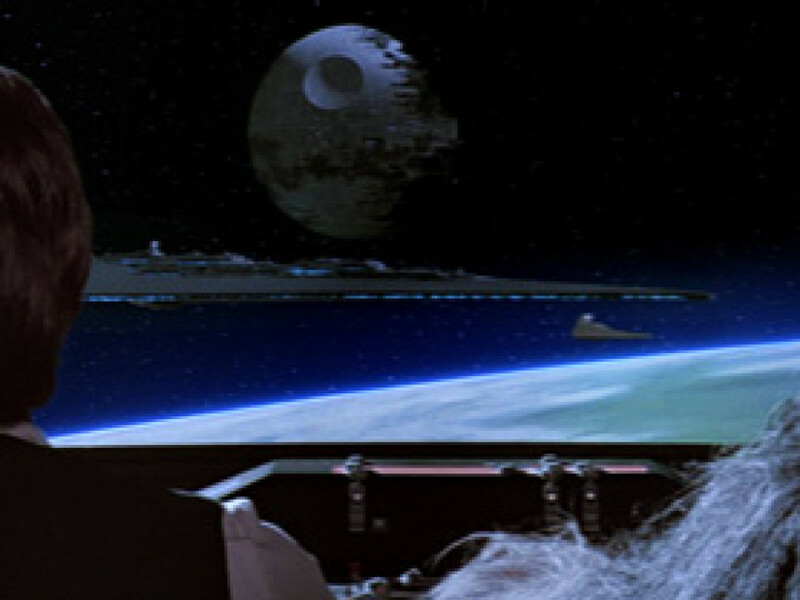 And in Return of the Jedi, it’s the back of his hand that gets blasted in the sail barge battle. But I knew I had seen a hand with a blasted palm somewhere. My first thought was the Return of the Jedi comics adaptation. Back in 1983, you really treasured your movie adaptation comics. Short of going back to the theater, these comics were the closest you could get to revisiting a movie you really wanted to see again. 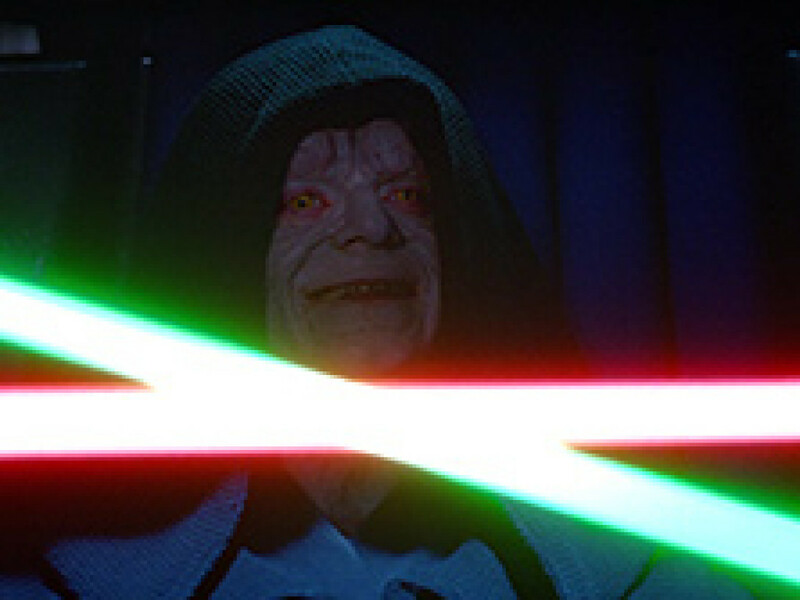 So, the images from the Marvel Comics adaptation of Jedi are scorched into my mind. One of those memories was Luke getting his hand blasted while battling Jabba’s thugs atop the sail barge. Remember that these comics were being illustrated while the movie was in production, not with the benefit of seeing the finished action. So artists like Al Williamson and Carlos Garzón had to work off of still images, the shooting script, maybe some storyboards. 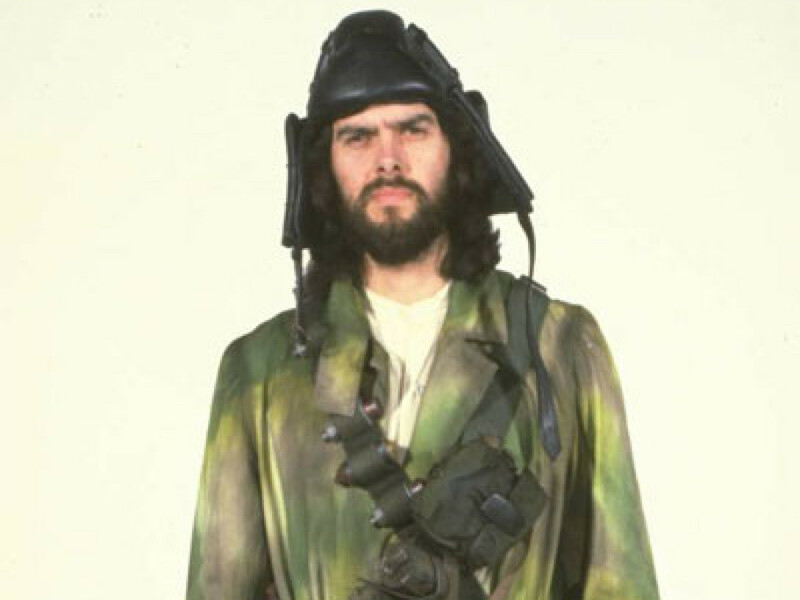 Without knowing the action of the sail barge battle, they imagined a lot — that alien who shoots Luke in the comic is entirely a fabrication of Williamson and Garzón. 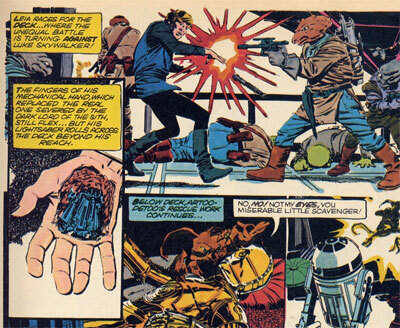 But that detailed image of Luke’s battered hand looks to be more than fanciful extrapolation. That hand, with a gaping wound in the palm, matched the email description perfectly. 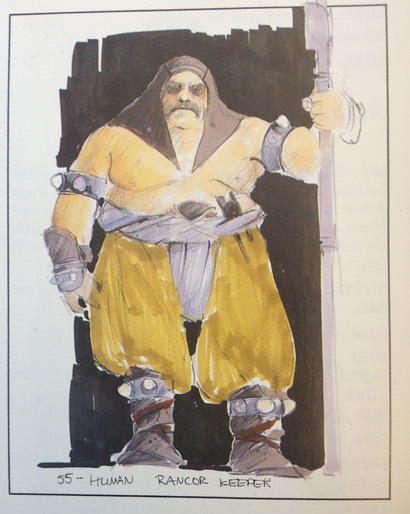 The other thought that popped into mind was an image I had come across years earlier while poking through Return of the Jedi concept art. 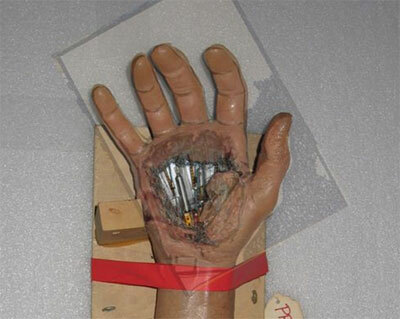 It’s hard to shake an image of a hand with a gaping wound, and I seem to recall Norman Reynolds having done some production art to that end. Digging through the image archives, I found this 1981 illustration by Reynolds. That was two strong pieces of evidence that a prop was built for Episode VI, and at some point they ultimately decided not to use it. On the first day of principal photography of Return of the Jedi, the crew shot the later-deleted sandstorm sequence. Watching the deleted scene on the Blu-ray, it’s clear they opted to go with a simple surface makeup gag on the back of Luke’s hand, as opposed to a full on hollowed out hand effect. 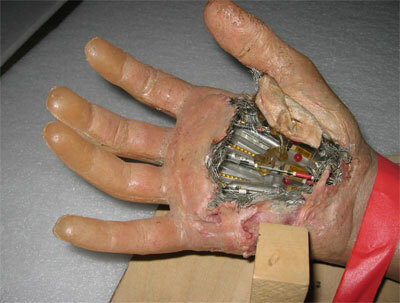 And so, on Day One, the decision had already been made that the palm-damaged hand had no place in the film. Evidently, no one had told Marvel about this. Deleted owwee, as seen on the Blu-ray. While I was digging through this old artwork, the folks at the archives did send me a photo of the hand prop that was on display. It was a perfect fit. A perfect construction of Norman Reynolds’ original art, and a perfect reference for what Williamson and Garzón illustrated. I even layered the comic art on top of the photo to double-check: the fingers lined up nicely. So with this evidence in hand, the prop was properly relabeled as Return of the Jedi, after having been mis-attributed for who-knows-how-long.